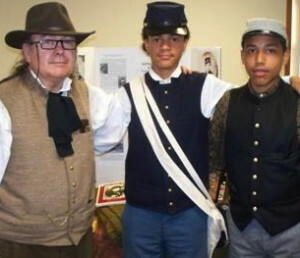 The Chester County Library will present a program on boys who fought in the Civil War on Sept. 26. The Chester County Library invites residents to two upcoming programs: one that looks back in time and one that seeks to lengthen it. On Monday, Sept. 23, Dr. Jessica A. Kennedy, D.C., will present “How to Stay Young for 100 Years” from 7 to 8 p.m. in the Struble Room of the library, which is located at 450 Exton Square Parkway, Exton, 19341. Kennedy will discuss ways to thwart the fact that functional mobility decreases with age, leading to increased risk of musculoskeletal disorders and pain. The average person reaches maximum mobility at age 23 and by age 65 has lost 75 percent of that mobility. Kennedy will explain how to improve flexibility and mobility so that you can not only prevent injury but also live a healthier, more active life. On Sept. 26, author Joel A. Moore will present stories of some of the boys who fought in the Civil War from 6 to 7:30 p.m. in the Struble Room, a program that is suitable for ages 10 and up. The presentation will help the audience understand the war through the journals and diaries of the boys who were there. View a three-minute video clip of what they saw during combat, an 11-minute video clip based on remembrances after the war, and a PowerPoint of images. A Q&A session will follow the presentation, and there will be time before and after it to view displays of books and artifacts relating to specific boys of the war. Books will be available for purchase and signing. Registration is required for both programs. To register, please visit www.ccls.org and click on Find an Event. Or, you can visit our Facebook page at www.facebook.com/chestercountylibrary.